Mutant Football League: Dynasty Edition was originally slated to release September 18, but has since been delayed. Now, in what is an appropriate time given the upcoming holiday, Mutant Football League: Dynasty Edition will release on October 30, 2018. If you already own the digital version, you will receive a free Dynasty Mode update on launch day. Mutant Football League: Dynasty Edition will run you $29.99 on Nintendo Switch, PlayStation 4 and Xbox One. The game has a slew of new modes including Dynasty Mode. 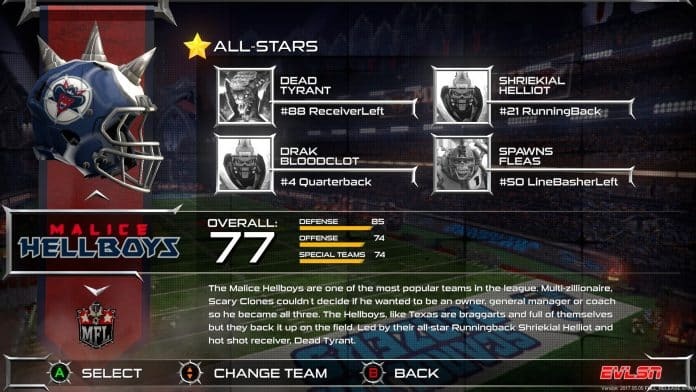 In Dynasty Mode, you’re able to take over your favorite Mutant Football League team and take them to the promise land by winning Mayhem Bowls. Everything you would expect in a dynasty mode will be here including multiple seasons, player trades, salary management, managing XP, free agent signings and even custom playbooks. There’s a ton of more content in Mutant Football League: Dynasty Edition. Two new teams, Purple Mutant Eaters and Hexxon Oilers, will be joining the league. Both teams will also have their own arena. There will also be two more playable races: Rampaging Werewolves and Hell-Spawned Demons. This brings the total number of unique fields and teams to 25 in total. Fields will include landmines, traps, fire pits and more. 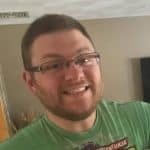 The commentary is also going to be in the game and is provided by Tim Kitzrow, the voice behind the iconic commentary in NBA Jam and NFL Blitz.